The first two matches of this Test series are equally dominated by both the teams as India won the first Test at Adelaide and Australia in Perth. Whoever will win the third and the boxing day Test match in Melbourne will take the lead in this ongoing series. For India's point of view, a win is a must to move into the fourth Test and final Test of this series with a lead and clinch its first-ever series win in Australia. 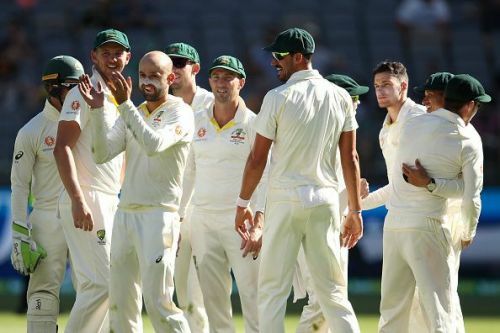 In the first Test, with the help of Pujara’s ton and bowler’s outstanding performance, India took that game away from Australians and shattered them in all possible departments. In the second match, the scene was totally different from the first, except Virat Kohli and Ajinkya Rahane, no other Indian batsman succeeded to stay firm against the Australian bowling attack which cost India a loss by a huge margin of 146 runs. The opening has been one of the major concern for India in the last couple of matches. Nowadays, we don't get to see the opening partnerships like Sehwag and Gambhir used to put together in their days. Its been a big reason to worry as none of the current openers is in touch. In the coming Test, Mayank Agarwal, who is warming the bench for quite some time now, should get a chance to prove himself at the international stage and if he delivers well then we will get a firm opener along with Prithvi Shaw when he comes back into the side. In the middle-order, all three batsmen i.e. Pujara, Kohli and Rahane have done well in the last two games and seems to be in good touch. As BCCI’s confirmed the availability of Ravindra Jadeja for the 3rd Test, he might replace Hanuma Vihari and there is a possibility of Ashwin to come back into the side to give strength to the bowling department. All the three fast bowlers, i.e. Shami, Ishant Sharma and Bumrah have performed well in the first two Tests. India, to clinch the victory, must go with two spinners along with three fast bowlers and six batsmen. As Ashwin and Jadeja can bat well, It will give more robustness to the batting line up and will help the team to add 50 to 100 extra runs in the total. However, toss will be the most crucial factor for both the teams, whoever wins the toss will have an extra edge over the other team. A win is a must for both the teams as the series is levelled right now. Both the teams will want to win this game to firm their chances of winning this Test series.